Lift and Scale with Electric Base - 440 lb Capacity - SHIPS FREE! 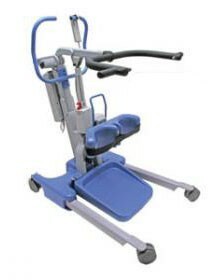 Lift with Electric Base - 440 lb Capacity - SHIPS FREE! Large - Deluxe Transport Sling (only) - SHIPS FREE! 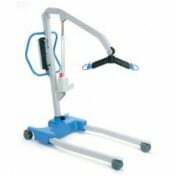 The Elevate Professional Patient Lift is a Hoyer Lift manufactured by Joerns and is used as an Ambulatory Mobility Aid for patients to stand up from a seated position or sitting down using the compatible Hoyer Standaid Deluxe Slings. 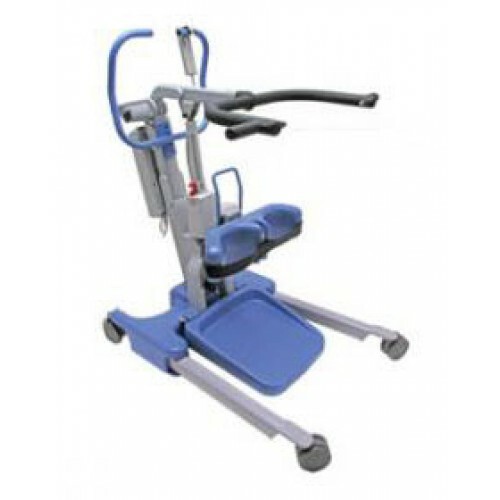 This patient lift is both compact and sturdy with a safe working load rating of 440 lbs and designed to improve the lifting experience for both the caregiver and the patient. The Elevate Lift has been designed to be configured either with (product # HOYELEVATEWSC) or without a weigh scale (product # HOYELEVATE). The weigh scale is seamlessly integrated with a digital display and user friendly controls. 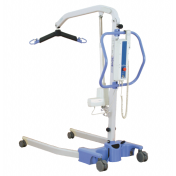 The Hoyer Elevate Lift meets the true needs of the resident, the caregiver, the home or the environment in which Patient Lift Help is required. 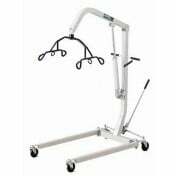 In addition to its lightweight aluminum construction, the Hoyer Elevate Professional Patient Lift has a powerful safe working load of 440 lbs. 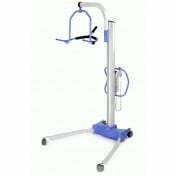 The Elevate has the option of both a standing and a transport sling, providing the you with the option of performing various care duties, such as toileting, standing, and point-to-point transfers. The kneepad can be adjusted, with one hand, to an infinite number of settings while the patient is positioned in the sling. The kneepad has also been contoured to comfortably steady the patient while flexing to the correct angle of the patients legs. The foot tray is angled and utilizes a removable polymer cover that can be easily removed for cleaning. 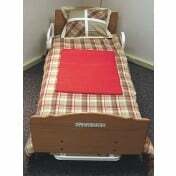 Additionally, the removable foot tray allows caregivers to provide patients with gait training. The scale was designed with intuitive controls that require very little product training for caregivers. The optional weigh scale can accurately weigh a patient up to 440 pounds. For the safety of the patient and caregiver, the safety belt can be used to secure one leg individually, two legs simultaneously or two legs independent of the other while transferring a patient. Hoyer Lifts work with Lift Slings that are sold separately. Hoyer provides several different kinds of lift slings that fit Hoyer Lifts and are adaptable to individual patient needs. 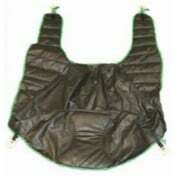 Lift Slings can be selected on their ability to stabilize, provide back support, quick connect, or toileting adaptability. Hoyer Single Patient Disposable Lift Slings - constructed with soft Polypropolene material that is disposable after it is not needed. This disposable lift sling is designed to serve a single patient. The sling reduces the risk of sharing contaminants with other patients. These disposable lift slings are available in 4 or 6 Point Sling Configurations and can support up to 500 pounds. 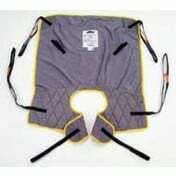 Hoyer 4 Point Professional Lift Slings - constructed of tough fabric material that is machine washable. Available in 5 sizes with three different options--Poly, Padded, and Mesh. 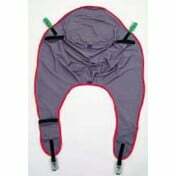 A Comfort Pad is also available as an accessory to this lift sling in standard or deluxe. Hoyer Professional Lift Slings - available in 4 Point or 6 Point models, constructed of tough fabric material that is machine washable. The Hoyer Professional Lift Slings come in 5 different sizes with numerous options including Quick Fit, Full Back, Access, Padded, Mesh, and Poly. Hoyer Elevate Lift Warranty: 2 Years on Parts - Limited. Is the battery separate? If so, how much and model number? The batteries are NOT separate with this item.